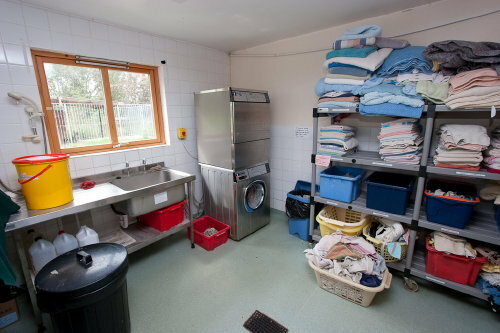 To the right is our Wash Room which is not only used for washing and drying literally hundreds of towels that we get through, it has a sink and power shower for washing contaminated wildlife. At the moment it also houses our x-ray processor too. 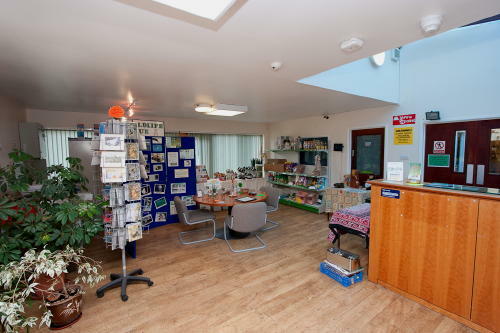 Pictured left is our reception and shop. This is where we book in casualties that are brought in to Vale. Animals are then taken through into the main Hospital area where they are examined and assessed for treatment. There are display boards showing examples of the animals we treat as well as various wildlife-related goods for sale, helping towards the running costs of the Charity. 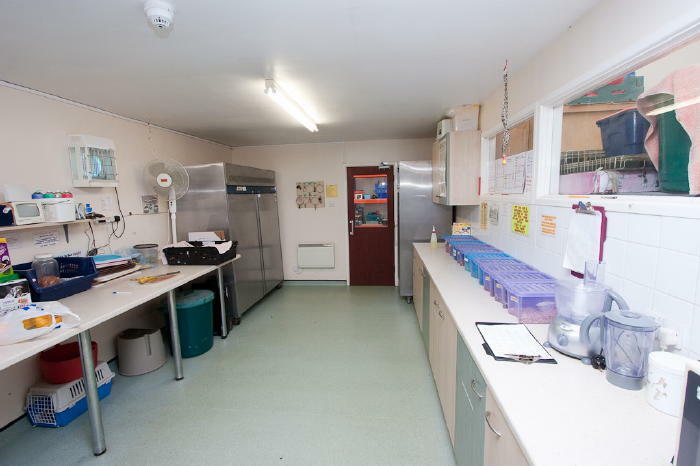 Food Prep Room (left), our ‘animal kitchen’ where all the food used for the casualties in our care is prepared, Office, where all the ever-increasing amount of charity administration goes on, Overnight Room for the on-call member of staff to stay, Staff Room, because we do allow the Care Assistants to stop for a quick cup of tea from time to time!